Join By Msgr. Lorenzo Albacete, theologian, physicist, and columnist for the New York Times Magazine. A discussion panel will follow with Stephen Joel Garver, Assistant Professor of Philosophy at LaSalle University, and Mark C. Henrie, Senior Editor for the Intercollegiate Studies Institute. The fundamental idea in the education of the young is the fact that it is through the younger generations that society successively rebuilds itself; therefore, the primary concern of society is to teach the young. What does education consist of, and how does it take place? 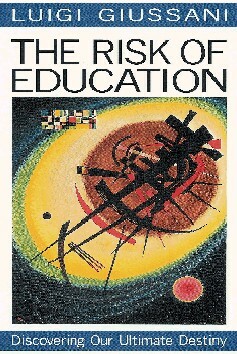 The Risk of Education explores what is at our origins as human beings. It presents the argument that without the fundamental factors of tradition – something lived out in the present that proposes and gives its reasons – and criticism – asking yourself why? – the young person is merely a fragile leaf separated from its branch.